This week on The Plus Factor, we’re taking a close look at the role the biggest beauty brands are playing in the clean beauty revolution right now. 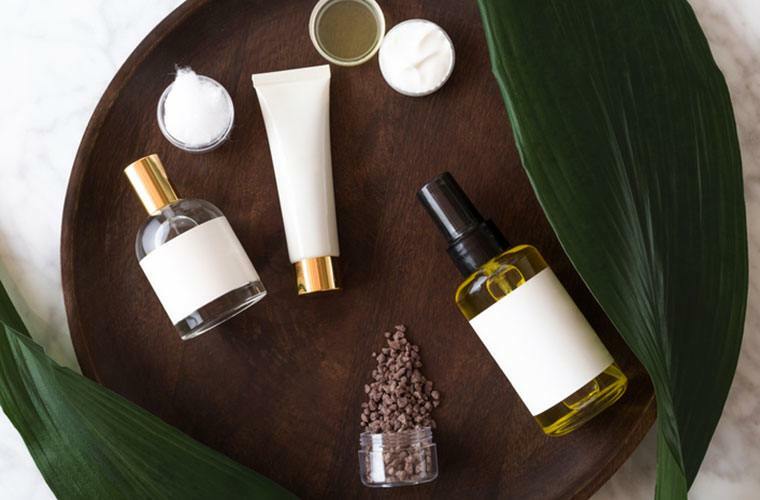 With investments, acquisitions, or new product lines, here’s what the leading companies are doing to create cleaner options and make natural beauty products more accessible than ever. Not all that long ago, women turned to department stores for designer bags…and designer lipsticks. The department store beauty counter felt like an escape, like a magical island of touchups and testers, where you were whisked away to swipe on this season’s red, dab on peptide-rich creams, or in a single spritz, ride a rose-scented cloud of wonder all the way to your happy beauty place. Beauty used to feel like an extension of fashion—now it’s become an extension of health. One reason the biggest brands are getting in the game is that an ever-growing list of mega-retailers like Nordstrom, Neiman Marcus, Sephora, and Target have begun carrying natural options, as the demand from consumers has risen. For starters, big companies such as Procter & Gamble and Estée Lauder have acquired or invested in cool, clean brands, knowing their giant manufacturing processes can’t just take out a few parabens and call it a day. Other companies, namely Unilever, have started completely from scratch, creating their own new skin-care and hair-care lines, with even more to come in the new year. The big brands are also very aware of buyers’ burgeoning label-reading savvy and sophistication. “Ingredient awareness has grown,” says Rachel Zipperian, who works in research and development at Herbal Essences. “More and more consumers want to know what’s in their products and why, as they’re looking to make better choices.” And if you listen carefully, phrases like “make better choices” sound a lot like the lingo used to talk about healthy food. As the biggest beauty brands are debuting cleaner formulas, indie brands are hitting the big time, and that means more choices everywhere from your grab-and-go drugstore to the swankier boutiques and department stores. Here, all the places that you’ll see this progress and what exactly it means for the way you’ll buy beauty now and the next time your shampoo bottle runs empty. When Neutrogena Naturals hit shelves in 2011, it sparked something that big brands had yet to name or touch. The formulas are free of harsh chemicals like dyes, parabens, petrolatum, sulfates, and phthalates—and the products use natural actives (such as willow bark as an astringent and yerba mate leaf extract as an antioxidant). The effort and the innovation on the part of parent company Johnson & Johnson was a huge example in the beauty industry. It set a new tone for how the drugstore aisles of the future would be stocked. Since then, the momentum has steadily gained steam. Neutrogena took things a step further by listing not only the ingredients on their labels, but also the ingredient sources. Now, if you see something such as “cocamidopropyl betaine” (a coconut-derived surfactant, AKA the stuff that gets you clean) included on a label, you know what plant or nut it came from. Helping women decipher what their beauty labels actually mean instead of obscuring the specifics behind “proprietary secrets” is something the indie natural brands were doing, and the big ones couldn’t help but play by these rules if they wanted to win the game. Beyond creating more natural spin-offs of existing beloved lines, Unilever (the brand that owns Dove, Suave, and Vaseline) has announced two new natural-leaning brands in the past two months alone. Love, Beauty, and Planet, which will make its official debut in 2018, is packaged in bottles made from 100 percent recycled materials. It taps “ethically sourced essential oils and plant extracts” to scent its products, including a “fast-rinse” hair conditioner, which the company says washes it out more quickly to limit water waste. Likewise Apothecare Essentials, an apothecary style brand with 17 products that hit CVS shelves in November, is free of parabens and dyes. It uses a coconut-derived surfactant in its body washes, and its shampoos and conditioners are silicone-free. Skin care may be leading the sea change, but the makeup and hair-care worlds are now getting their feet wet. One of the best examples of this is Burt’s Bees, which has been making clean skin-care and lip-care formulas for the drug-store market for decades. In September, the brand broadened its reach, launching a line of color cosmetics (including one seriously awesome mascara with major staying power, as well as an impressive range of blushes, lipsticks, eyeshadows, and foundations)—without silicones, parabens, petrolatum, talc, and synthetic fragrances. “As a pioneer in the [lip-care] category, it was the natural next step in our evolution to move into beauty. Our heritage in balm led us to develop lip color that not only provides bold color payoff, but also nourishes lips,” says Lauren Aplin, Burt’s Bees associate director of marketing. For Burt’s, owned by Clorox since 2007, the challenge was “to offer a premium product at an accessible price point at mass, [that’s] made with natural, responsibly sourced ingredients and sustainable packaging.” And to do it early. Being ingredient-conscious and aware of how certain chemicals can affect the health of consumers is now a top priority. Likewise, haircare brand Herbal Essences rolled out Bio:Renew this year, a collection of hair-styling products (with ingredients like aloe, moringa, and argan) that’s free of parabens, glutens, and dyes. Compared to a decade ago, this is progress. Being ingredient-conscious and aware of how certain chemicals can affect the health of consumers is now a top priority of beauty brands, say their executives. With the increased amount of interest in clean beauty, there’s been a shift in the mindset of corporations, who are now realizing that this is what women want from their beauty regimens. In large part, clean beauty brands have succeeded by making ingredient labels look more like what you’d find at a smoothie bar or a health food store’s vitamin aisle rather than in a chemist’s lab. Take Ren. The brand has a line of Atlantic kelp and magnesium-rich shower products, meant to help with fatigue and stress (like the mineral does when ingested). Or True Botanicals, which incorporates whole apple peel into its Antioxidant Booster to help repair and brighten the complexion. Both are backed by Unilever Ventures, a venture and private equity arm of the main company. “There’s a genuine interest in helping evolve our industry, and [Unilever] sees investing in brands like ours as one way to do that,” says Hillary Peterson, True Botanicals’ founder-president. In large part, clean beauty brands have succeeded by making ingredient labels look more like what you’d find at a smoothie bar than in a chemist’s lab. Likewise, Estée Lauder, which was an early adopter of natural beauty, founded its botanical beauty brand Origins in 1990 and acquired Aveda, the natural skin-care and hair-care brand all the way back in 1997. In 2014, Estée Lauder also put its money behind Linda Rodin’s namesake face oil brand, in one of the first mass-moves to herald face oils (which had long been shunned as acne-inducers). Just this year, Lauder also announced that they’d back Deciem, the self-proclaimed “abnormal beauty company,” which is an umbrella of brands focused on active ingredient products and a no-frills vibe. Hylamide, one of the Deciem brands, for instance, simply champions hyaluronic acid; The Ordinary makes vitamin C serums and cell-turnover boosting retinols that resemble what’s on your facialist’s trolley; while Fountain has ingestible elixirs for your complexion on tap. Beyond simply helping these indie deodorant companies find footing with a larger audience, these moves acknowledge that brands recognize that people are looking for alternatives to aluminum-laced deodorants and chemically derived formulas. The fact that they’re eager to deliver alternatives is hopefully a big sign of progress to come. “There’s no question from our perspective that the natural beauty industry is experiencing tremendous growth right now,” points out True Botanical’s Peterson, who notes that this may give a serious boost to public awareness—as well as the balance sheet of many clean indie brands. Here are the 3 most important skin-care products to swap first when going natural. And these are the 10 top-rated natural beauty products on Amazon right now.